I recently hosted the Maggie Top, Tunic, & Dress Sew-A-Long on the Sewing Pattern Testers Blog. During the process, I had the wonderful opportunity to network with some amazing sewists, as well as some dreamy fabric. One of the companies I worked with was Girl Charlee Fabrics. You can read all the posts for the sew-a-long here: BSD Maggie Sew-A-Long. To start with I want to thank Girl Charlee Fabrics for contributing some lovely fabric for the Maggie Sew-A-Long. 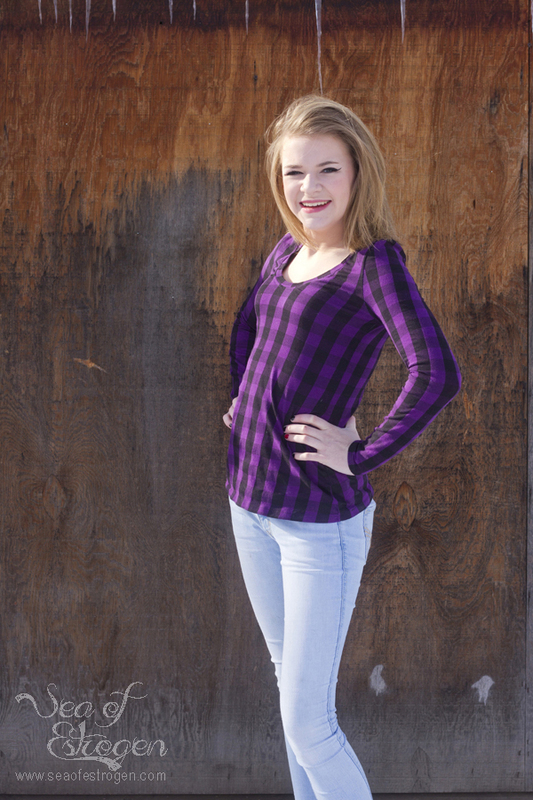 Heather was amazing to work with, and after our discussion, she sent this lovely Black & Purple Buffalo Plaid Cotton Spandex Knit. Seriously, it is so soft and supple, and it was very easy to work with. 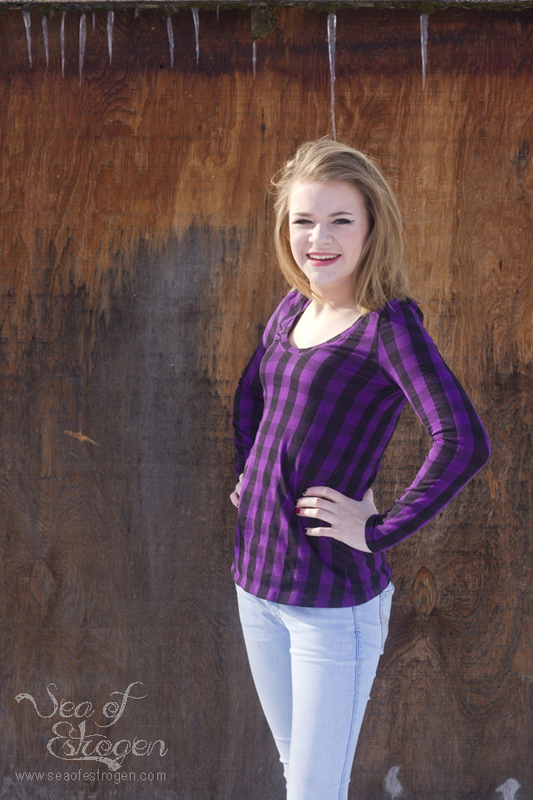 I made this Maggie long-sleeve top for my 15-year-old daughter, Reagan, and she loves it. Reagan normally wears a tank-top under all her shirts, but she said this fabric was soft enough she doesn’t need to! This fabric is wonderful to work with! It’s a stable knit fabric making it a great choice for beginners wanting to venture into sewing with knits. Thank you again, Heather and Girl Charlee Fabrics for this amazing Buffalo Plaid. 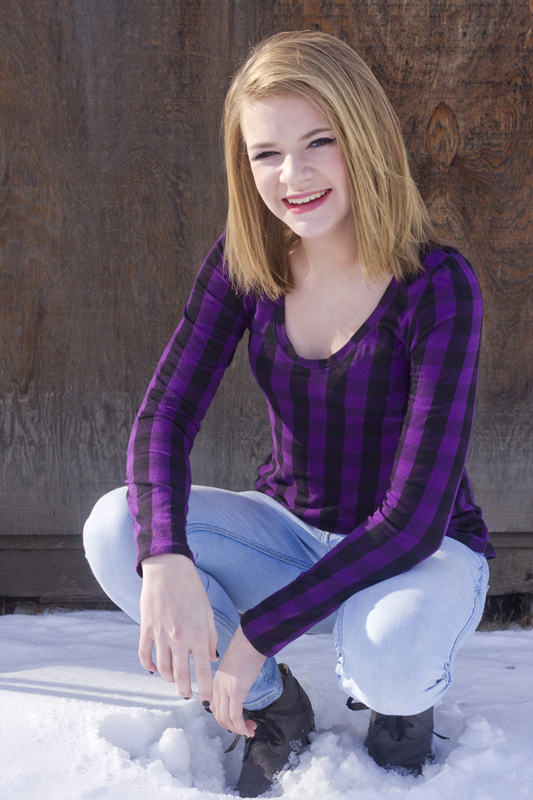 Reagan and I love it – you can’t beat teenager approved! Incidentally, the Maggie top is the first finish of my 2017 Finish-A-Long list of projects.